I don’t have a weekly menu for this week. It’s just going to be a bit spontaneous. Tonight, we’re having homemade chicken tenders with Mac and Cheese (not homemade). Tomorrow, my fantastic husband has offered to make Hamburger Helper with biscuits. Wednesday, I’ve got Church dinner, so we don’t need to plan dinner again until Thursday. Mix bread crumbs, salt, dried minced onion, sage, rosemary, and thyme. Roll chicken tenders in bread crumb mixture. I was watching RR’s 30 min. show and saw the chicken tenders with Mac and Cheese. I went to my pantry and freezer, got ingredients, and got to work. Hooray for having food items on hand! At the beginning of September, I set out to do Owl Haven’s 30 Days of Nothing. I made a goal to eat more at home and spend less. I made a monthly menu, purchased food for the month, and began. It all went well the first half of the month. Breakfast, lunch, and dinner came from home. About the middle of the month, I believe that I started to get a bit stressed here and there (lots to do at work?). I also got bored of my boring menu (I repeated the same meals every 1-2 weeks on my menu) and I started eating out at restaurants more (Boston Market, Kolache stores,…). 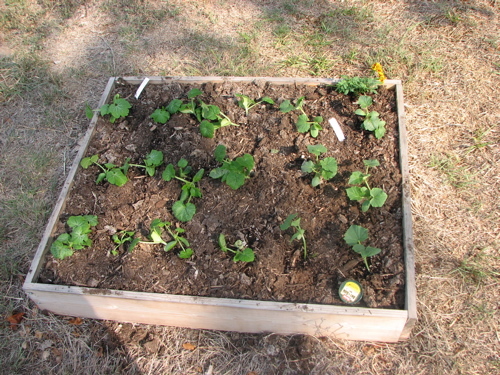 Then came the gardening project. It started small, but escalated quickly. First, I bought three 6-packs of veggies, a few annuals, and some 50% off perennials (actually, I got two $7 ones free, because they looked pretty pathetic – now, they look great!). Then, I started getting more and more compost/soil. After that, I bought 4 kinds of bulbs and a flat of 18 snapdragons. Of course, there were more trips for more compost. This past week of gardening has made me SOOOO happy everyday. Aside from Church, I spent the entire weekend outside. Each day at work, I looked forward to the time when I would be able to go back outside and garden some more. Now that I think about it, it would be fun to start on the backyard, right?!! After planting veggies, annuals, and perennials, I decided to attack an overgrown bed of bushes and vines. It took a few days, but I finally cleared it out. I kept having to buy more compost and topsoil, because the soil was so packed down. 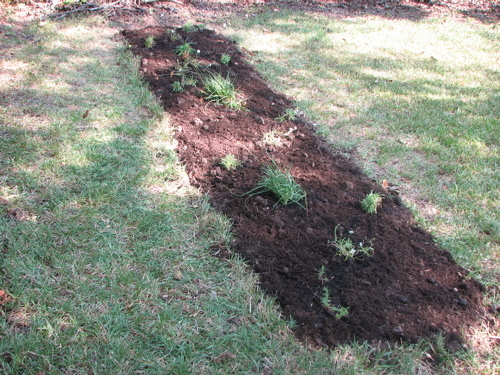 Then, I planted ranunculus, daffodil, and freesia bulbs. 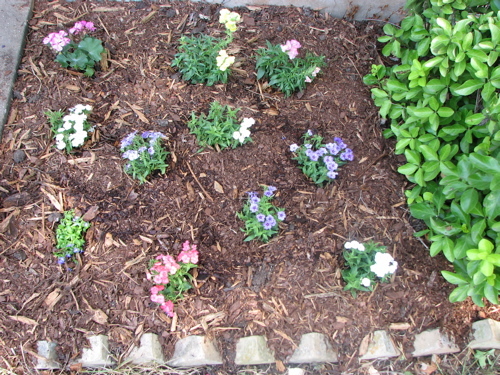 I also put in some snapdragon annuals, to give the bed some color until the bulbs begin to bloom in the Spring. 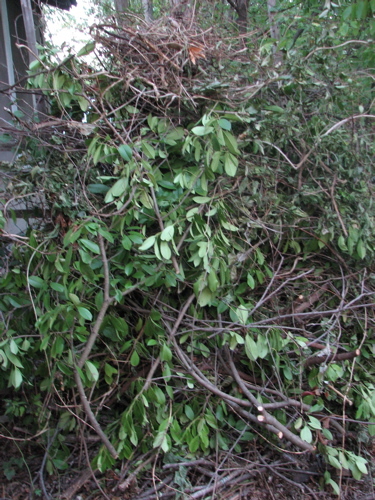 Here are some pictures of the bushes before and after, as well as the pile of brush that I now need to tie in bundles. 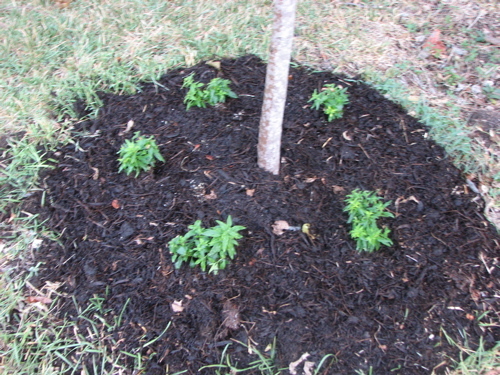 I’m also putting in a pic of some snapdragons that I put around a tree. For more before and after projects, go to Boo Mama. I’ve decided to expand my gardening project. I’m now working on a fourth garden bed. This one had seriously overgrown bushes and vines. 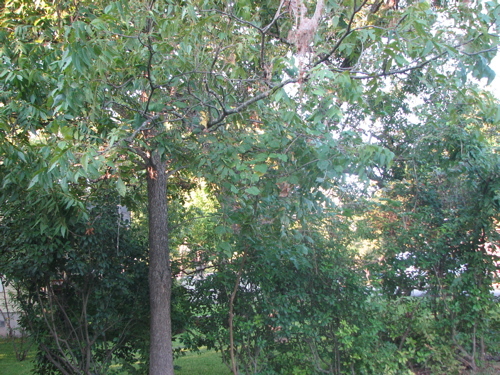 I’ve already worked to trim the lower branches of the bushes and to clear away the vines. I’ve also put down a thick layer of compost and fertilized top soil. Next, I will plant bulbs that will bloom in early, mid, and late Spring, as well as those that will bloom during the Summer. 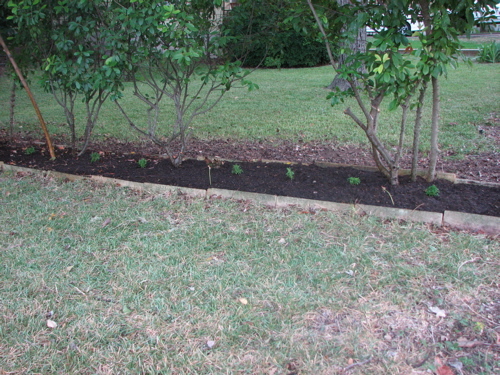 In the meantime, I’ll also plant some snapdragons (annuals) to give the flower bed some color. I enjoyed spending most of the day outside gardening. Here are some pictures. I’m embarking on a gardening project today. I’ve already mowed what lawn we have (drought) and picked up a few things from the plant nursery. I have a raised bed for veggies (3 x 3), a bed by the door for annual flowers (3 x 3) and two beds on the side of the house, which used to be for veggies, but will now be for perennials (3 x 3 and 6 x 3). Only ate half a pint of Ben & Jerry’s ice cream. Now experiencing extreme sugar high. At giggling stage. Off to ride stationary bike in effort to get rid of energy and somehow sleep tonight.